Crisis left, right and center. On Thursday, about eight APC governors met with President Muhammadu Buhari over the stalemated and deeply divisive governorship and legislative primaries in their states. Some of the governors complained about the omission of their loyalists from the list of screened legislative aspirants, and others bitterly resented the APC national leadership's role in, and even conduct of, their states’ governorship primaries. There is deep dissatisfaction in some of the states with the role being played by the party’s national chairman, Adams Oshiomhole, who is regarded as dictatorial and meddlesome. The visit to Aso Villa, The Nation reports, followed the lingering inability of the party at the national level to resolve the crises-ridden state primaries. But whether the presidency can placate the aggrieved governors is anybody’s guess. For a long time, the presidency restrained itself from interfering in the affairs of the party at both the state and national levels. Inspired by the president who initially argued that it was undemocratic to meddle in the affairs of the party, just as it naively hoped the party would not meddle in the business of the presidency and the executive, the presidency put a huge gulf between itself and the party until major fissures, albeit contrived, began to appear and vested interests plotted the usurpation of offices and power in the party and particularly the national legislature. By the time the presidency experienced the epiphany of involving itself in the affairs of the party, incalculable damage had been done, and cracks had widened and ossified. The governors were not as squeamish about getting involved in the affairs of the party in their states as the presidency was. They not only meddled in the running of the party, in many instances, they virtually reduced the party to a department of the state government, and chairmen were turned into glorified errand boys. Unfortunately, the incongruous relationship between the party and the executive was instituted right from the beginning of the Fourth Republic when the then president, Olusegun Obasanjo, unadvisedly took strong-arm measures to subordinate the party to the executive. Observing what was being done at the federal level, the states quite eagerly took extraordinary measures to also subjugate the party in their states. While the presidency has not witnessed any revolt of any kind in the party at the national level, with the party still deferring by and large to Aso Villa, the states for the first time are witnessing terrible unease and stirrings in their territories. The battle for succession and the struggle for nominations have pitted powerful individuals against either their party leaders or their apparently overbearing governors. Ambitious politicians are not afraid to dare meddlesome governors determined to write the future of their states. In the past, governors largely determined who took the tickets; now, the situation appears to be morphing in ways that challenge the status quo and the conventional wisdom of monarchical governors, a dire process revolutionarily given fillip by the iconoclastic Mr Oshiomhole, himself a former governor. The public and the ruling party may be alarmed by what is happening, particularly the dissension in the APC, fearing that the confusion might affect the party’s electoral chances as indeed it affected the fortunes of the former ruling party, the Peoples Democratic Party (PDP). But they should be grateful that the schisms are manifesting now, and they must hope that they can sort out the mess integral to their founding. The PDP came to grief over imposition of candidates and the associated confusion and rebellion that accompanied that patently undemocratic style. It is not a bequest anyone should embrace. The APC, particularly its governors, has not learnt any lesson from the debacle that confronted and sundered the PDP. But circumstances are now conspiring to help them confront their inbuilt and orchestrated monsters. Those circumstances are indeed quaint and unique. First is the presence in office in Aso Villa of an apathetic president who seems not fully persuaded about meddling in the day-to-day running of the party, unlike Chief Obasanjo. President Buhari is thus likely to be highly amenable in his involvement in the misunderstanding within the APC. He will genuinely seek peace once he is convinced of the course of action the party should pursue. Had President Buhari been seized by the itch to control things, he would be more interested in demonstrating power and getting his way than coaxing the combatants to reach some accommodation. Second is the election of the charismatic though somewhat flawed Mr Oshiomhole as chairman. Not only was he a governor, but having also ruled Edo State for two terms, he knows a thing or two about deploying and projecting power, and embracing every propaganda measure possible. He knows the tricks governors are capable of, and he knows just how elastic their bluff is. He will counter their bluff and also defang their blusters until he forces a rapprochement. 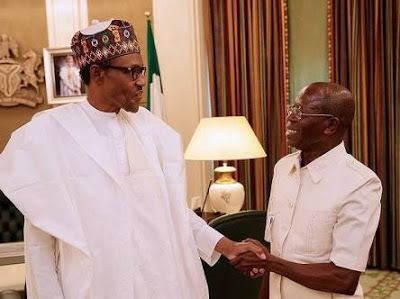 But more importantly, both the president and Mr Oshiomhole are unlikely to feel apocalyptic about the dissension quaking in the APC for the simple reason that they fairly anticipated the crisis and believe sensibly that it is much better to endure that danger than the flaky peace governors and the former party chairman had tried to confect. Beginning from last year, and running through the early parts of this year, the former chairman, John Odigie-Oyegun, and the governors had attempted to circumvent what they feared was a potentially acrimonious and explosive elective convention. They voted for managed congresses, controlled convention, tenure extension and consensus candidates. Regardless of the provisions of their party constitution, they loaded these dramatic measures under the so-called doctrine of necessity, and felt absolutely certain that the foretold implosion many feared would course through the party could thereby be deflected. The party must indeed be thankful to naysayers who insisted that no matter how tumultuous and damaging a revalidation process might be, the party must periodically subject itself to that carnival enjoyed by its members. That process of revalidation may open up unhealed sores within the party and create fresh wounds and fissures, but, argued the critics and dissenters within the party, it was better for such problems to be ventilated, no matter how searing the molten magma flowing from its bowels, than to be repressed with the possibility of later triggering conflagrations of untold consequences. 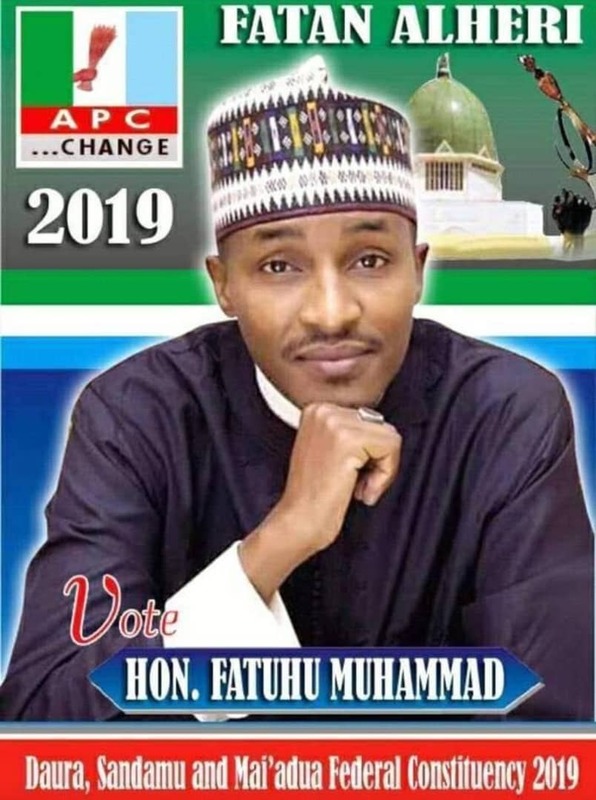 The controversy over direct or indirect primaries, or elected or consensus candidates, for instance, are all indicators of the cracks existing deep down in the party’s tectonic plates. Had these problems not manifested now, a future earthquake deep under its crust would probably have unleashed an unmanageable Tsunami. Party members, including recalcitrant governors, must not harbour the dangerous illusion that the refusal to endorse Mr Odigie-Oyegun’s continuation in office or their preferred candidates and mode of primaries were the causes of the terrible dissension unsettling the party. No, these cracks were intrinsic to the party and its founding, and they were bound sooner or later to manifest. The party now has an opportunity to address these foundational issues. What will determine how successful they are, and whether the party would stabilise or not, especially going into the future, will depend on the administrative acumen of their leaders and the president, and the subtlety with which those saddled with the responsibility of reconciling the combatants and forging peace go about their onerous task. The APC may cast wary glances at the PDP, fearing that the opposition could take advantage of the distress in the ruling party. They can surmount their troubles if they try hard enough. But they can also fail if they give in to fear and desperation. The choice is really theirs to make.